Supper and Song or Song with no Supper! 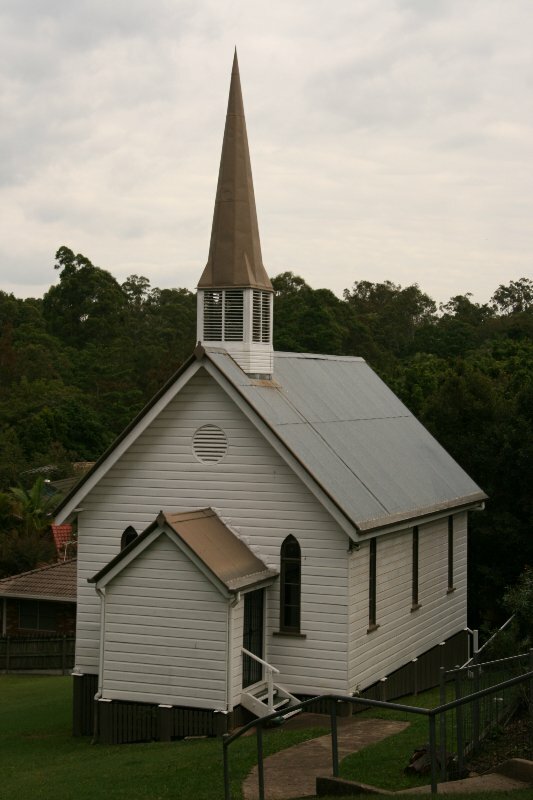 The small church, now called the Pioneer Church, was built in 1885 on a donated half acre of land which faced Kenmore Road near its junction with Brookfield Road. 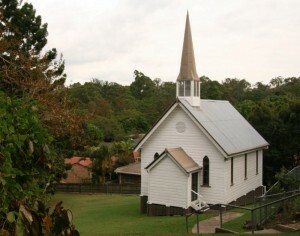 In the mid 1900s the building was relocated to its present position at the back of the (then new) large church on Moggill Road. 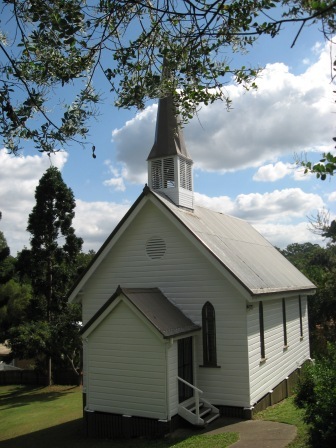 Enquiries about Weddings in the heritage listed Pioneer Church are welcome, but note that the church holds a maximum of 70 people comfortably. 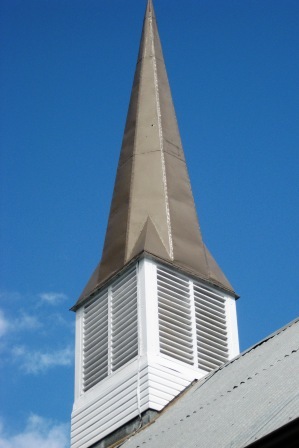 In 2015, we celebrated the 130 year anniversary of this church. 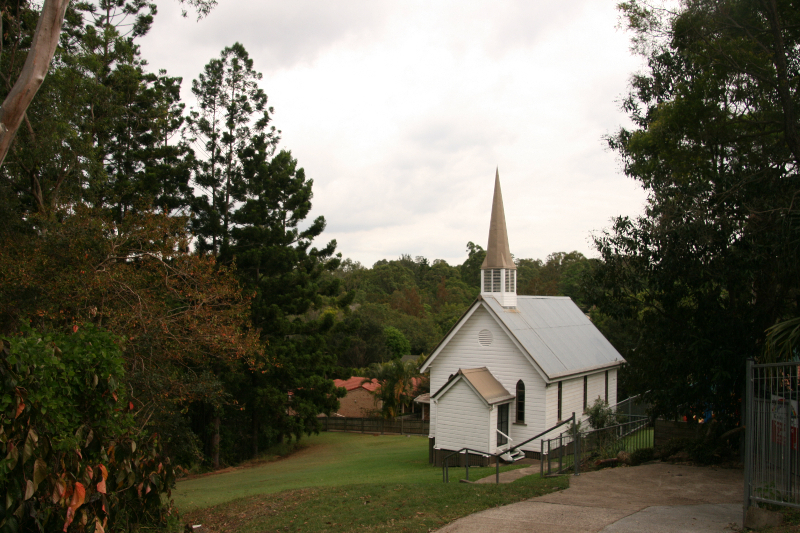 Would you like to learn more about the area’s history and development? Tell the Next Generation is a history of the early days from the 1840s to 1985, covering the churches, schools, occupations and families. 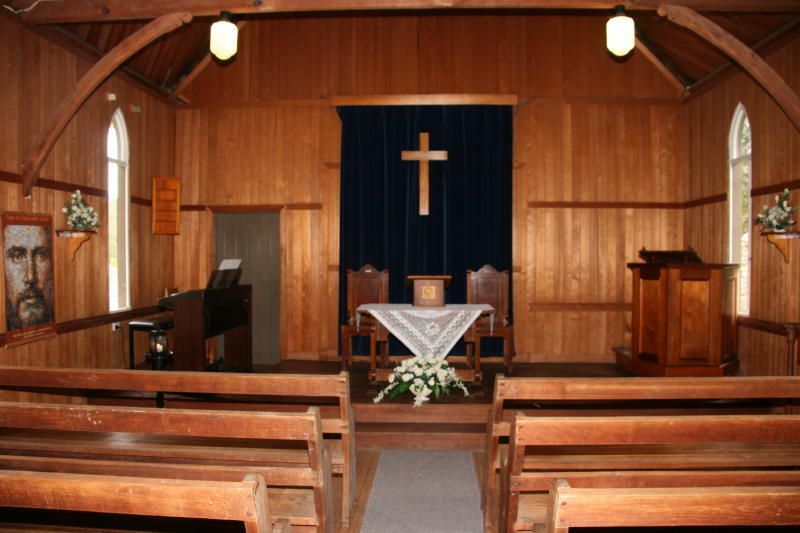 Did your great grandparents live here and now you’d like to know more about how your family worked in this community? 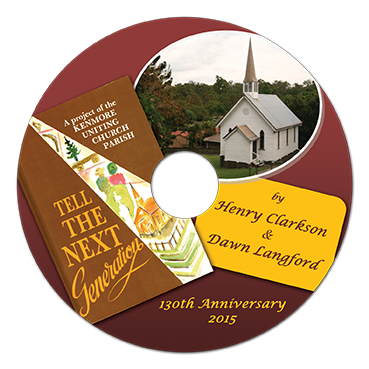 Whether you are a descendant of pioneers or just moved in, the new CD version of the community’s history will be of interest to you. The history of the district from Fig Tree Pocket to Moggill called Tell the Next Generation produced in 1985 has been out of print for many years. However, it is now available in a digital version which is a copy of the book with text and photos and a new Appendix which includes a detailed index for those trying to find relatives or familiar place names. 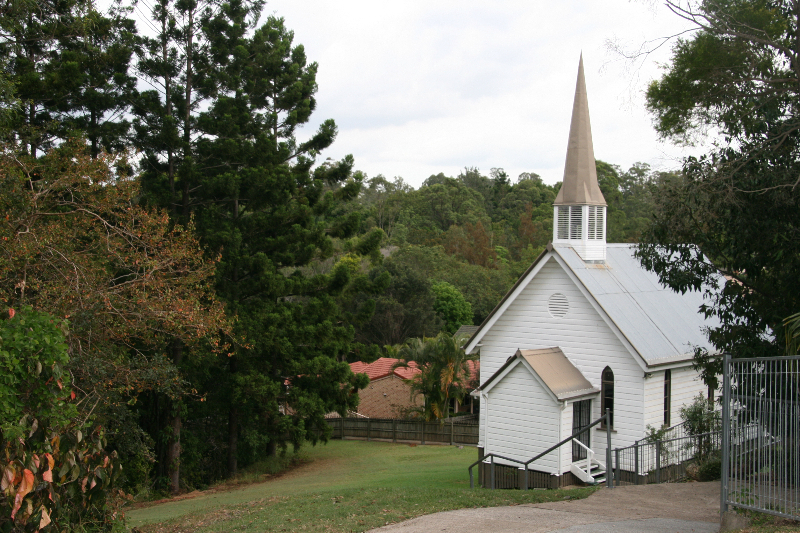 This CD is now on sale from for $10 at the Church Refreshed Shop at 982 Moggill Road from 9 till 12.30 pm each day. 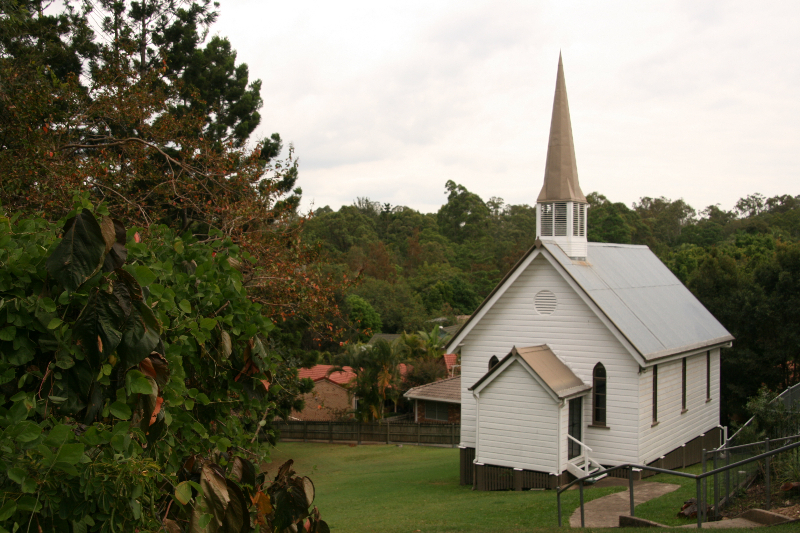 You can email the Church Office (kenmore@dovenetq.net.au) with an order or ring Dawn (3878 3936) to ensure a copy. 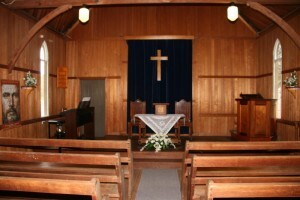 Sunday Services: 9.00 am Come and enjoy the service and the fellowship of the Cha Bar afterwards.